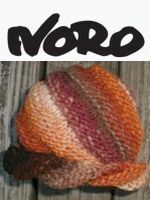 finished size 42" - 46"
This design is from Noro Akita 3 .
finished size 45" - 49"
8 garments & accessories in Silk Garden Sock and Taiyo Sock. Includes sweaters, coat, jacket, shawl & wrap. 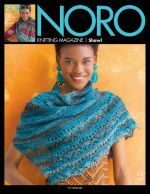 Also published in Noro Magazine #13, Fall/Winter 2018. 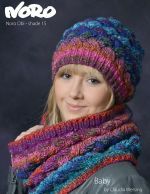 A $2.00 discount will be applied in your shopping cart when you also purchase a yarn pac for this pattern.